Mozilla has ceased development and sales of its open source, Linux-based Firefox OS mobile distribution, although the code may infuse future IoT projects. The news was not a complete surprise. Back in May, Mozilla CEO Chris Beard announced the company was dropping the Spreadtrum-based “$25 Firefox OS” phone, which in Aug. 2014 arrived in India in the form of $33 Intex Cloud FX and $38 Spice Fire One Mi-FX 1 phones. At the time, Beard said nothing about discontinuing the many other Firefox OS phones that were being manufactured by multiple vendors and sold by even more mobile carriers in dozens of mostly emerging markets around the world. However, he said that Mozilla had begun developing a new “Ignite” version of Firefox OS with higher-end features. On June 5, it was revealed that one of the original co-developers of Firefox OS, CTO Andreas Gal, had left to start his own Firefox OS spinoff aimed primarily at the Internet of Things market. This followed the earlier departure in March by former Mozilla president Li Gong, who left to form a startup code-named Gone Fishing, with a mission to build a web-oriented mobile OS partially based on Firefox OS. In July, CNET revealed that Gong’s startup, now called Acadine Technologies, had received a $100 million investment from China’s Tsinghua Unigroup, to launch a Firefox OS fork called H5OS. In October, Acadine and the ARM-backed Linaro announced that Hong Kong-based Acadine had joined the Linaro Mobile Group (LMG). Acadine was said to be the first systems software company to join the group. “Acadine is committed to make H5OS an innovative open mobile operating system and we’re very excited to join Linaro,” stated Gong at the time. There was no mention of specific products or timelines, however, let alone any connection with Firefox OS. In August, CNET reported that the other, Andreas Gal-led, spinoff from Mozilla’s Firefox OS team was called Silk Labs. (A teaser website with a contact email is here.) The company was cofounded by new CEO Gal, as well as Chris Jones, who co-developed Firefox OS with Gal, and Michael Vines, a former senior director of technology at Qualcomm. Silk Labs is attempting to make home automation devices that are smarter and proactive, says the story. For example, the cloud-connected devices might watch and anticipate users’ habits to automatically turns lights and heat up and down. Although Gal had initially said the startup would use Firefox OS technology, in September Gal told CNET the technology would be based on Linux, but use none of the Mozilla technology. The CNET story quotes Gal as saying that one of the problems with Firefox OS was that it was “late” to the smartphone market. True enough, yet compared to other open source mobile Linux efforts not called Android, it was early. Aside from the mostly open source Android, Firefox OS was the first such product to reach market with a phone back in July 2013, with the shipment of the ZTE Open and Alcatel One Touch Fire. (Palm’s innovative WebOS preceded it by several years, but it was soon to disappear into LG smart TVs, and the commercial mobile platform was never open source.) Mozilla continued to announce new, low-cost Firefox OS phones, carriers, and manufacturers, reaching into the far corners of the globe, including most recently, Africa. When Mozilla announced the new low-cost Spreadtrum phones last year, it seemed it may have carved out a space above the dwindling feature phone market and below low-end Android phones. Yet even the slightly higher-end Firefox phones from ZTE, Alcatel, and others were apparently deemed too slow and limited even in emerging markets. It was not a Nokia world anymore — times had changed. Firefox OS also failed to capture much devotion from mobile Linux developers. This was in part because they were being fragmented into the competing Tizen, Ubuntu Phone, Jolla Sailfish OS, and even the open source CyanogenMod camps in the early days. More recently, they’ve been jumping the mobile ship for Internet of Things, drone, and augmented reality projects. The Firefox OS phones were too low end, and with the radical focus on HTML5, there was not much to interest developers aside from the potential for spreading smartphones to the masses. Firefox OS was always a wild gamble, and it did better than many expected. Mozilla may have been late to the smartphone market, but it was early to a vision of cloud-based computing. That vision has been rebuffed by today’s app-crazed consumers, but it’s likely to take hold in the future. Google made a similar gamble on an HTML5-based Linux platform with its Chrome OS. But because the project was nurtured by a techno-giant rather than Mozilla, and was competing with the flawed Windows 8 rather than a surging, ever improving Android, Chromebooks finally found a place in the market. It also helped that Google compromised on its original vision of HTML5 purity more than Mozilla ever did. Even still, Chrome OS attracted even less of the fervent Linux developer base so sought after by technology projects and companies. There’s just not that much for them to do. Mozilla isn’t alone in its Firefox OS troubles. Other mobile Linux projects are treading water. Samsung finally shipped a Tizen phone in India, but has yet to push the platform beyond that, and last month Jolla announced it was restructuring and laying off half its staff. Canonical’s Ubuntu Phone appears to have the most momentum, but that’s not saying much. The “convergence” vision keeps drifting into the future. Wow… a very well written article. The level of detail captured is amazing. Thanks a lot! What really counts for me is Sailfish OS as it gives new quality, possibilities and better comfort above all the rest. And it also has a solid bacground of code from IBM and Nokia, others don’t. 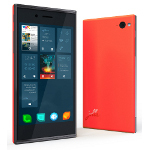 I am very satisfied with using Jolla mobile, hence going to buy the Jolla tablet for Christmas. My choice is Linux MeeGo Sailfish OS from Jolla. And this is aware, not accidental. I am of the opinion that developers will develop for the device in their pocket that they use every day. If a company wants to promote developer interest, then that company needs to get a developer focused device in the hands of developers as soon as possible. While some early FirefoxOS phones available in Europe were developer friendly, the first phone available in the United States was the ZTE Open: a locked down device running a already outdated version of FFOS, and there was no way for an owner of the device to update the OS. After a couple of months, ZTE provided to a way to unlock and update the OS. It would be about a year before Mozilla announced the Flame reference device. Tizen is in a similar boat in terms of attracting developers. Samsung seems extremely reluctant to get a developer centric phone in the hands of developers. Google on the other hand, is notorious for getting Samsung devices running Android into the hands of developers. Canonical’s wise decision to make an already existing developer device (Nexus 4) the initial target for Ubuntu Touch allowed developers to develop and dogfood on a functional phone before there were devices shipping with UT pre installed. Not quite the first linux based mobile phone to market, as wikiP will show you. Nokia was first (in 2009) with the N900 running Maemo. Then N950 & N9 running Meego. After that came OpenMoko, with open source hardware as well as software.